"In May, Oklahoma Parents and Educators for Public Education, a group active on social media, issued candidate endorsements," The Oklahoman reminds us. "The group labeled now Gov.-elect Kevin Stitt 'dangerous for public ed' because he wanted to fund teacher pay raises without tax increases. 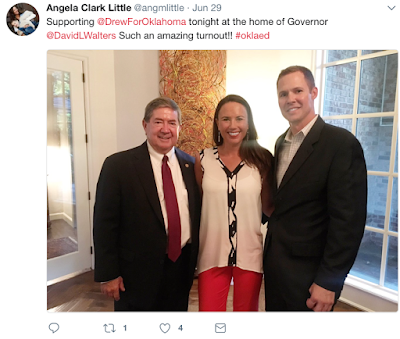 The label clearly didn't hurt Stitt, who receive a record number of votes for a gubernatorial candidate."